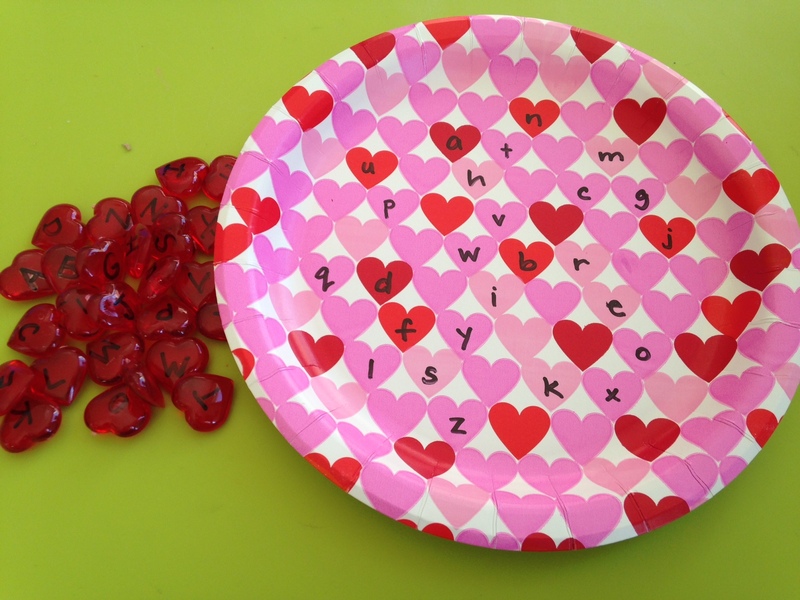 Easy Valentine’s Hands On Activities | California Kindergarten Association. 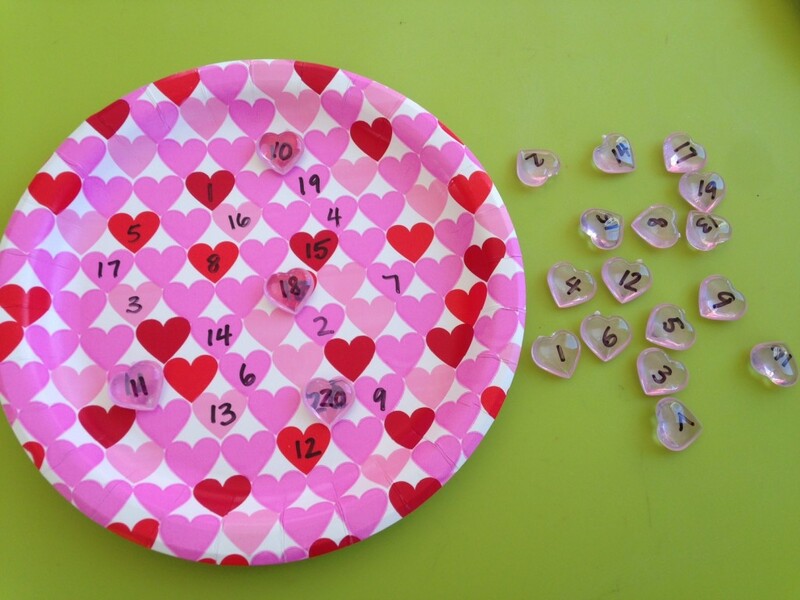 …and a whole bunch of ideas for lots of fun, super easy activities! First up – I couldn’t wait to play with these pretty gems. Table scatter? I don’t think so! Although I’m sure a few will wind up scattered… LOL. I started by making a letter matching game. 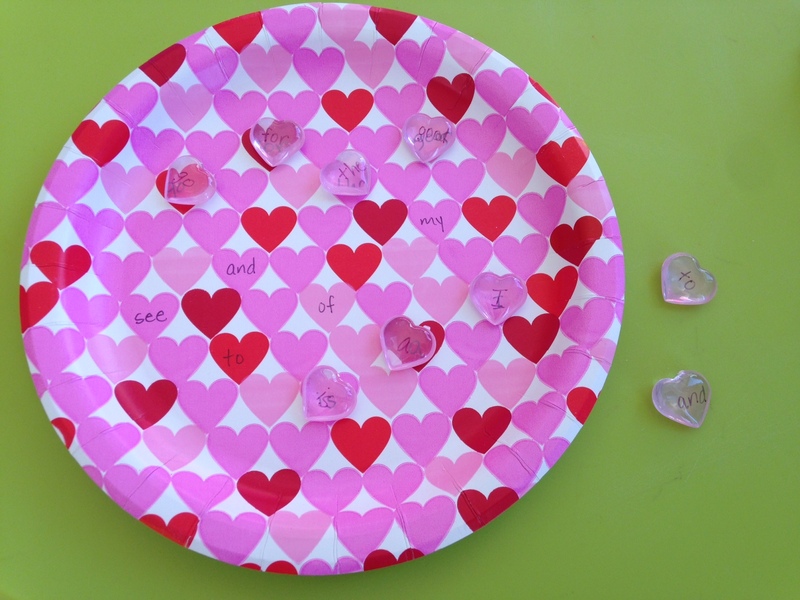 I wrote lower case letters on the plate and upper case letters on the hearts. These plates worked out perfectly! 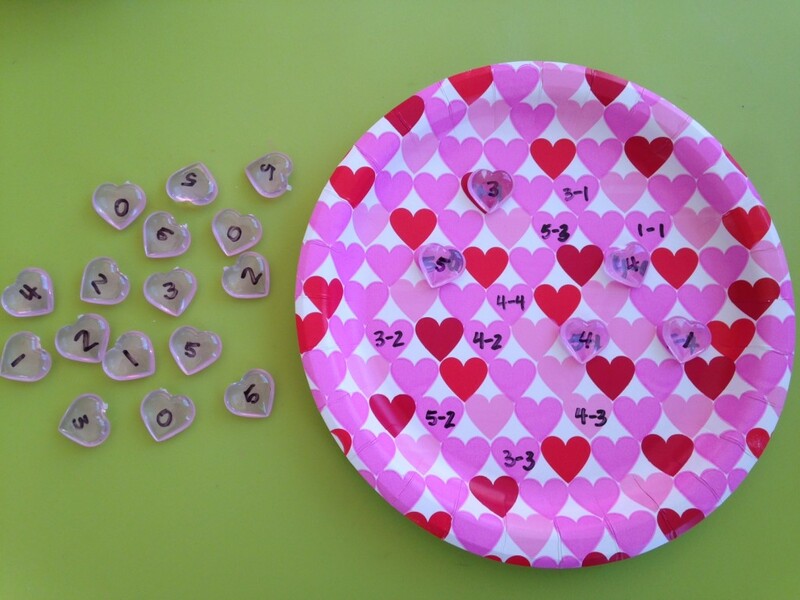 But, if you don’t happen to find the same ones at your dollar store, you could easily just draw hearts on plain red or pink plates. Can’t find the table scatter? You could easily use something else. The glass gems they sell as vase filler would work well, too. The kids just match them up – easy peasy, right? But why stop at letters? 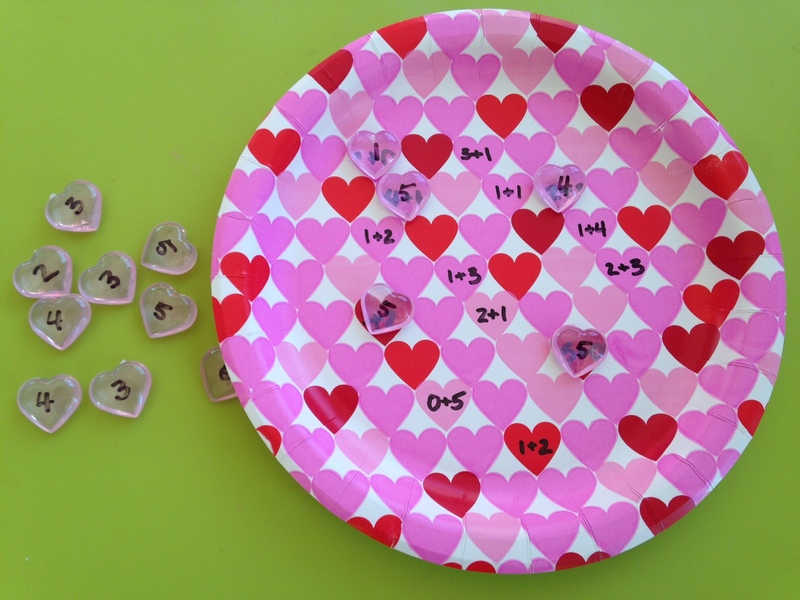 It works great with sight words too (I used an ultra fine Sharpie to get them to fit). Fun, right? And super easy to prepare! Not to mention that the price is right. 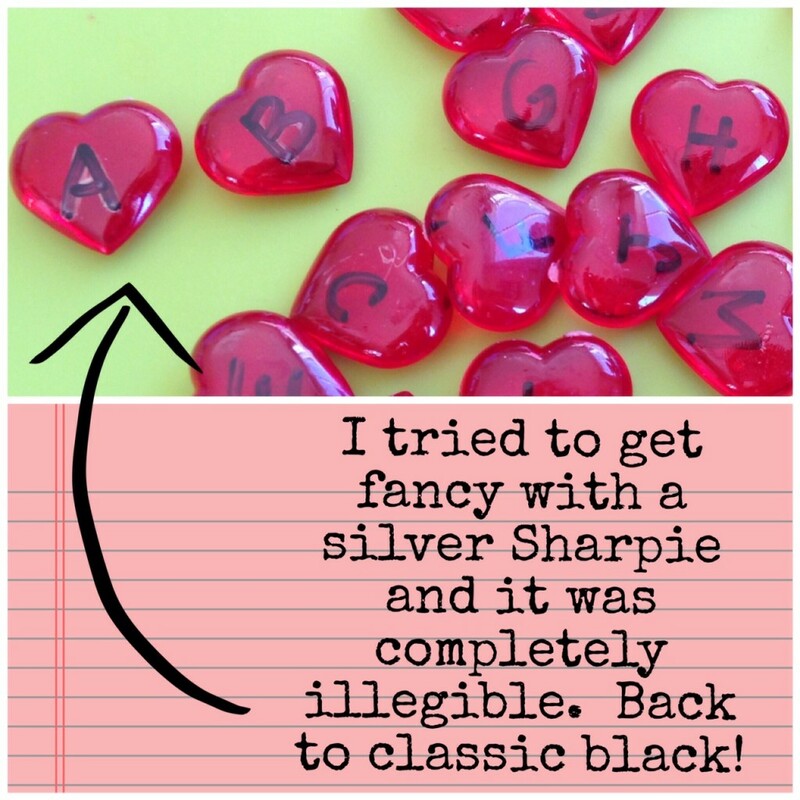 :) So head over to your neighborhood dollar store, and grab some fun goodies that are sure to add a fun twist to your lessons! So? 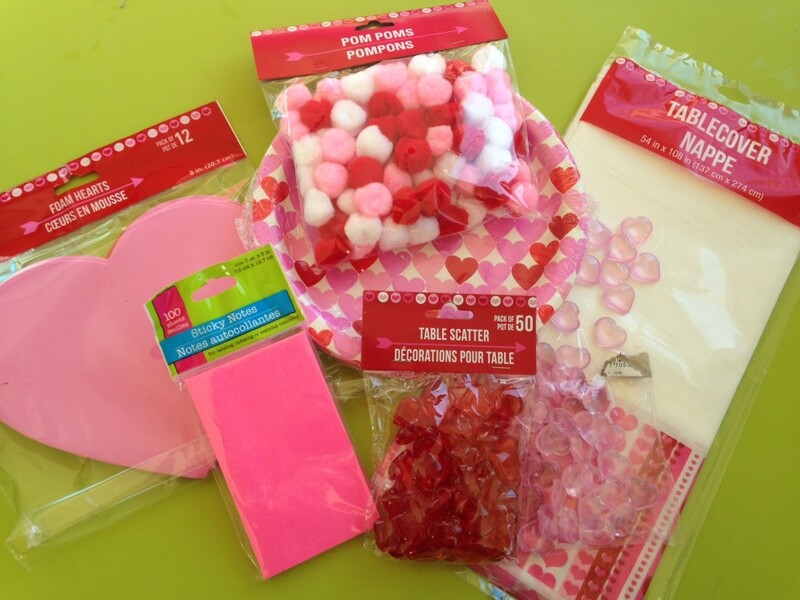 do you have super fun things planned for Valentine’s Day? We’d love to hear all about them! PS – wondering what I did with the rest of the loot from my Dollar Store trip? Stay tuned!